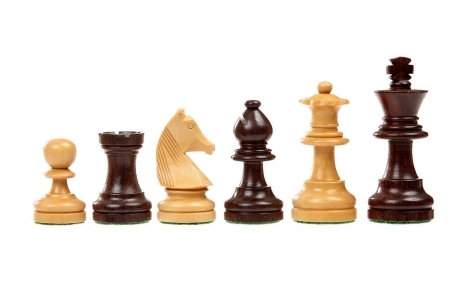 Although I am a novice at chess I have always admired the amazing simplicity of the design. There are 6 different types of pieces on an 8×8 grid. Each piece can perform one type of movement. Two pieces cannot occupy the same space. If the King can’t escape danger then you lose. Obviously the actual rulebook would be a bit longer, but it is amazing how many thousands and thousands of hours of entertainment and scholarly thought have been produced by a tiny handful of rules. Which is why I have always been bothered by castling. Even as a child this rule stood out to me. It was not that it was hard to grasp, but it didn’t seem to fit with all the other rules. Yes, the knight is the only piece that can jump over other pieces and the pawn has a couple of unique rules, but castling doesn’t fit in at all. Castling involves two pieces moving. It allows the king to move two instead of one and allows the rook to jump over the king. It cannot be performed while the king is in check. One has to remember whether or not either piece has previously been moved. All these small requirements or exceptions muddle up the defining characteristic of chess – the simple rules and the simple identities of the pieces. Each piece can do one thing and each turn I pick one piece to move. Those severe limitations are the beauty of the game. I understand the importance of castling for protecting one’s king, but nevertheless the rule infuriates me. The game of chess is a frequently used metaphor in our society and the Staunton chess pieces are symbolic, I think, precisely because of this beautiful simplicity. While castling might be necessary to play the game well, I refuse to think about it when admiring a beautiful chess set.